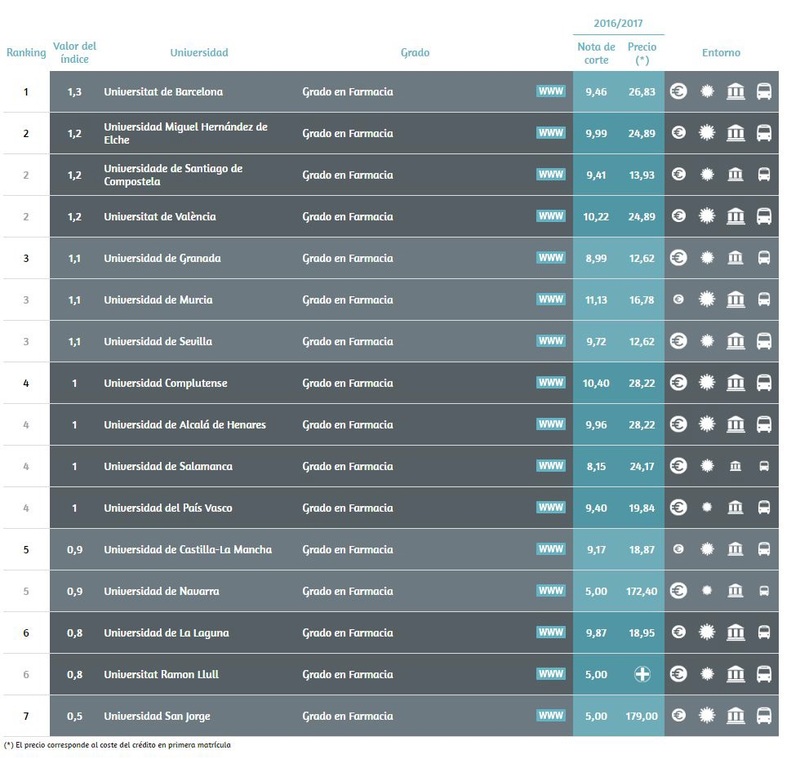 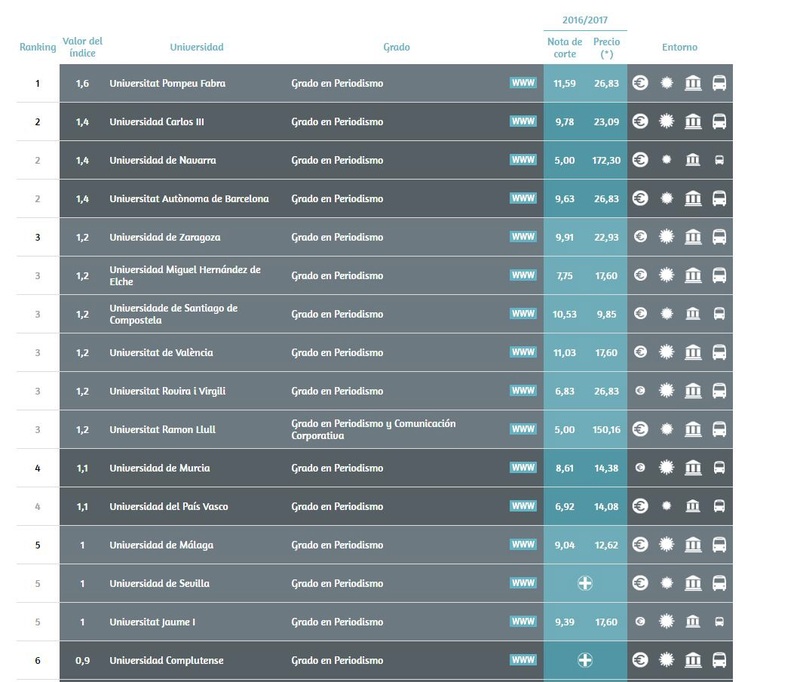 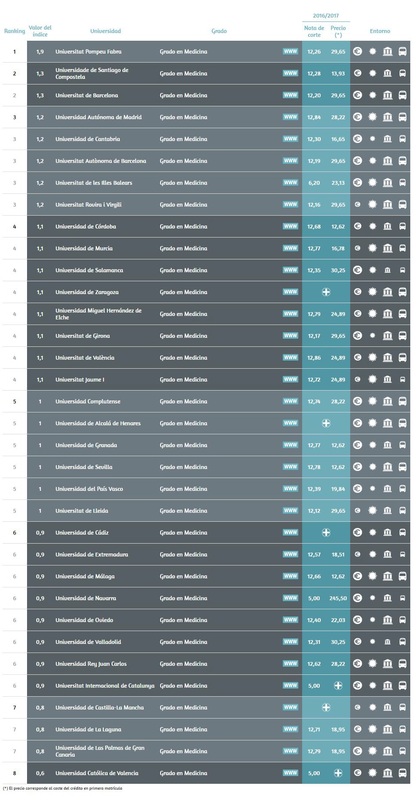 In the fifth edition of the U-Ranking of Spanish Universities produced by the BBVA Foundation and the Valencian Institute of Economic Research (IVIE), the Miguel Hernández University of Elche (UMH) occupies the fifth position in the ranking of best Spanish universities along with six others. 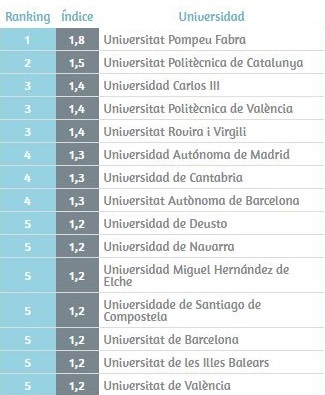 In the ranking’s classification for Innovation and Technological Development, the UMH is sixth, and in terms of employability, the UMH places eleventh. 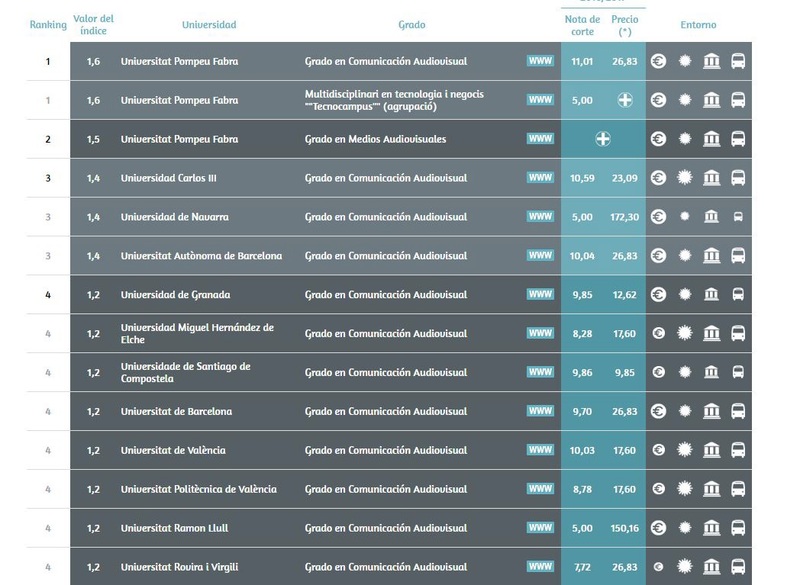 What’s more, most of the bachelor’s programs offered at the UMH are ranked among the top five positions in terms of this ranking’s criteria of Teaching, Research, and Innovation & Technological Development. 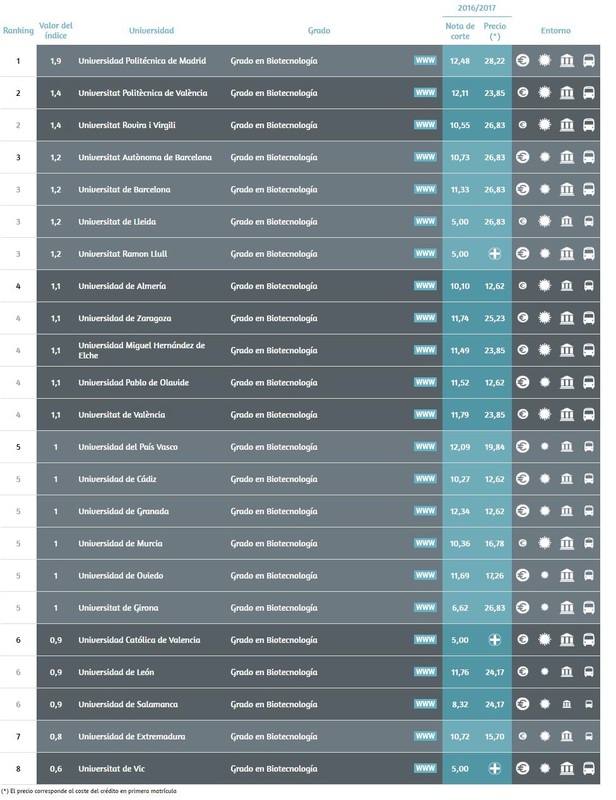 Among Valencian universities, the UMH lies in second position along with the University of Valencia, both with indexes of 1.2, which were only exceeded by the Universitat Politècnica de València, but were above the remaining public and private universities in the Valencian Community. 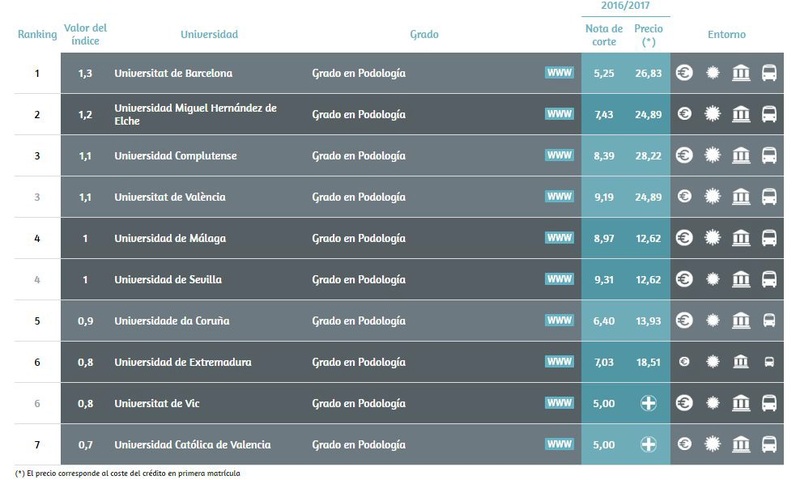 Furthermore, this ranking places most of the bachelor’s programs taught at the UMH among the top five positions in terms of the aforementioned criteria. 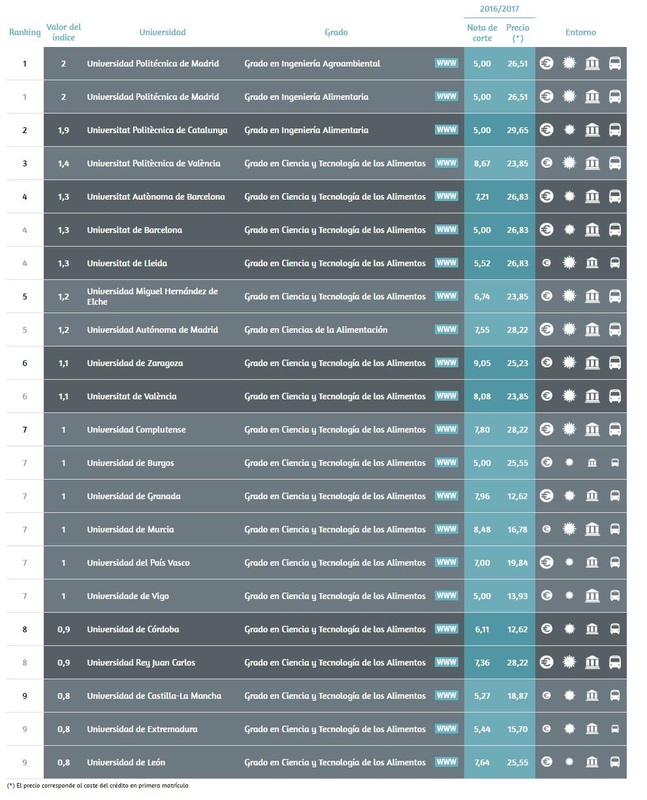 In these, the UMH occupies first position for Occupational Therapy, and its programs of Business Statistics, Pharmacy, and Podiatry are second. 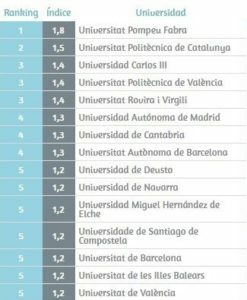 Likewise, the UMH is third in Physical Activity and Sports Sciences, Physiotherapy, Journalism, and Psychology; and it is fourth in Biotechnology, Audiovisual Communication, and Medicine. 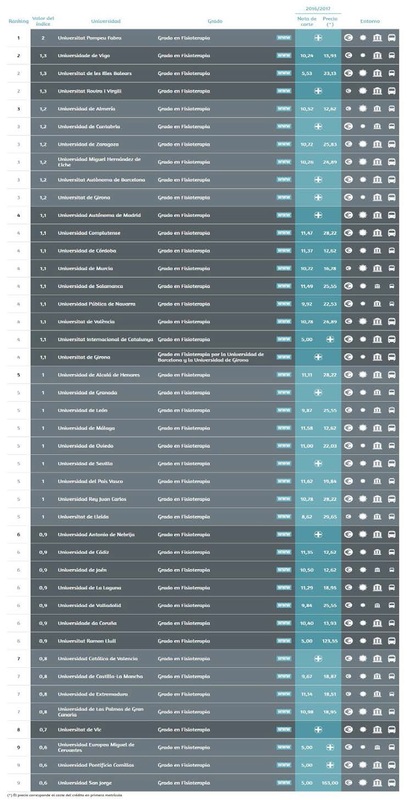 Furthermore, the undergraduate programs of Environmental Science, Food Science and Technology, Computer Engineering in Information Technologies, Telecommunications Technology Engineering, Mechanical Engineering, and Labor Relations and Human Resources fall in fifth position. 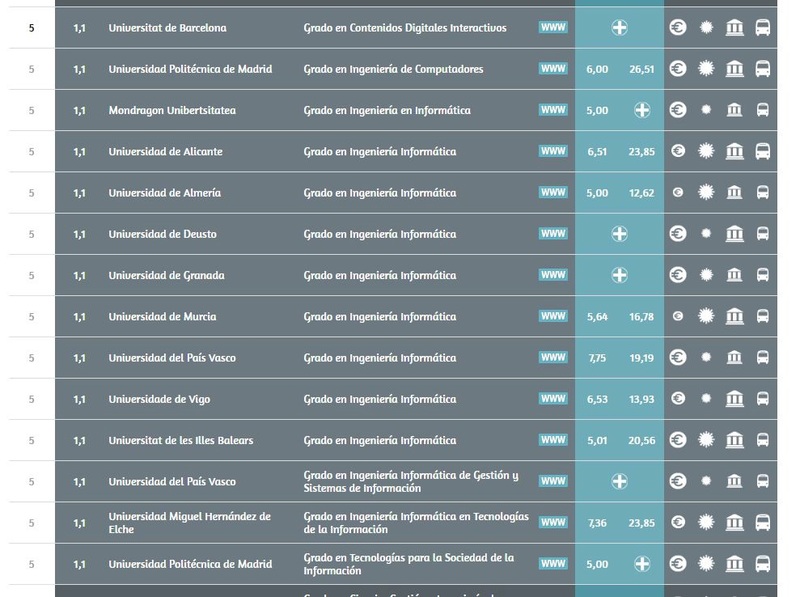 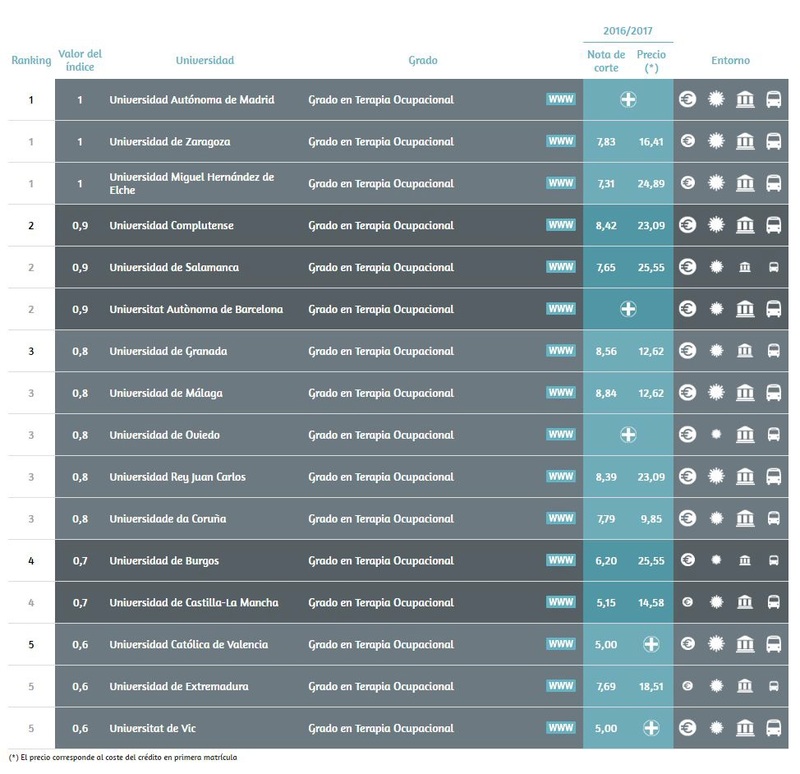 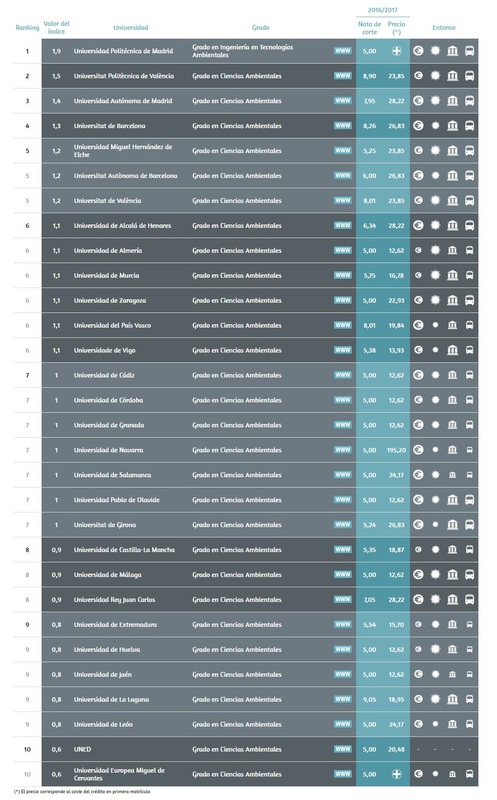 The general results of the U-Ranking of Spanish Universities are presented in two distinct formats: first is the U-Ranking of Spanish Universities, which ranks the universities according to their performance after correcting for their relative sizes; second is the U-Ranking Volume of Spanish Universities, which ranks the universities according to their total volume of results. 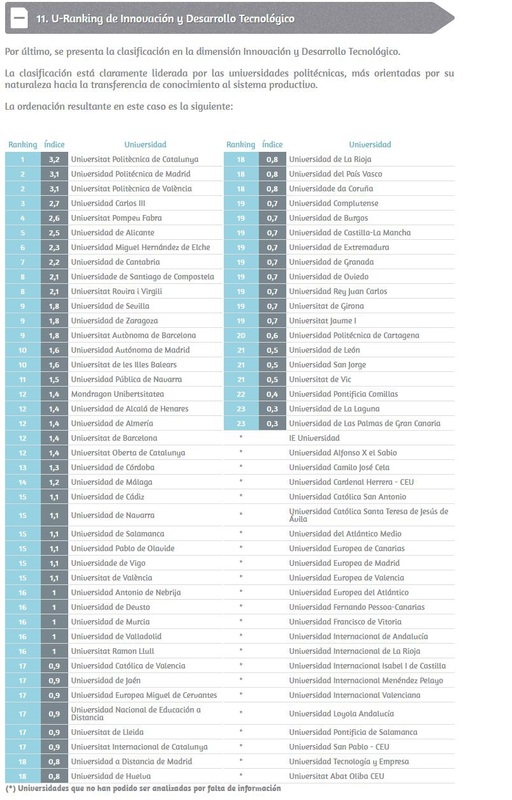 This ranking considers three important missions: teaching, research, and innovation & technological development. 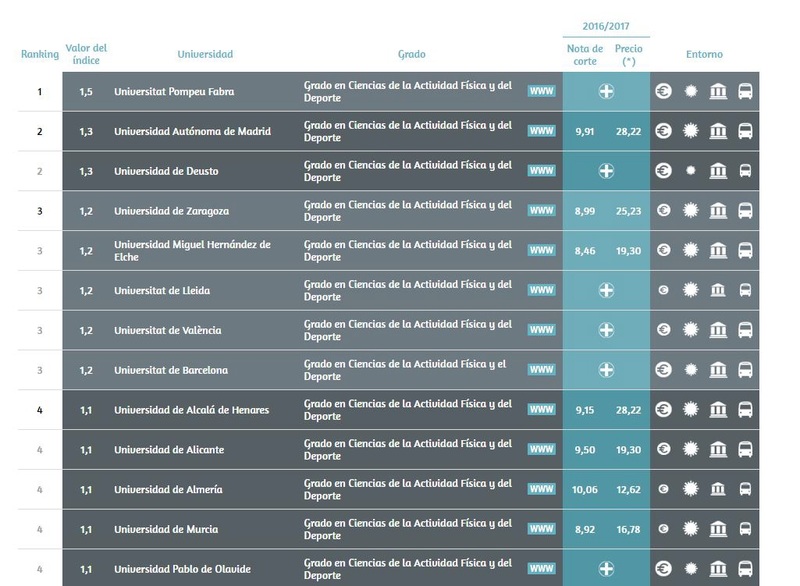 Thirteen private and 48 public Spanish universities were analyzed in this, the fifth edition of the U-Ranking.